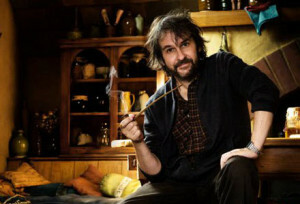 Award-winning New Zealand director Peter Jackson has said he’s considering a novel adaptation of his popular film trilogy The Hobbit. The Hobbit: An Unexpected Journey, the first film in the series, was released late last year to widespread popularity, grossing more than $1,000,000,000 worldwide at the box office. That success has inspired Jackson – who was reportedly “captivated” by his story – to make it available in other mediums. Jackson says he’s taking the project very seriously, and revealed that he’d already been in talks with several popular authors, including J.K Rowling, Lee Child, Dan Brown and Stephenie Meyer. The news comes as Jackson is considering extending his film trilogy to six installments after he felt that the part where Bilbo finds the Arkenstone could be a movie in and of itself.